If you’ve decided to abandon single-use disposable water bottles in favor of refillable bottles, congratulations. It will not only save you money but will also help save the environment for your children. You may also decide to abandon most of the mountain of refillable bottles you’ve accumulated over the years. That’s what one concerned parent did after seeing what it takes to ensure proper and practical hydration for his schoolchildren. Hard to clean—Good hygiene is critical for water bottle safety. Many bottles have openings that are too small for cleaning tools; many bottles are not dishwasher safe. Hard to refill—Small openings can make it difficult to refill from a tap or drinking fountain. Adding powders requires funnels; adding ice requires crushing. Hard for youngsters to handle—One daughter complained that some caps are too large for her hands when opening, and the openings are often too large for her mouth when drinking. Also, most bottles leak in the backpack or lunch bag. Hard to monitor fluid levels—Stainless or opaque plastic doesn’t give you a clear view of the fluid level or potential contaminants. Hard to keep looking good—Many traditional materials quickly develop microcracks or haziness after cleaning. Potential chemicals of concern—These include bisphenol A (BPA) and BPS. 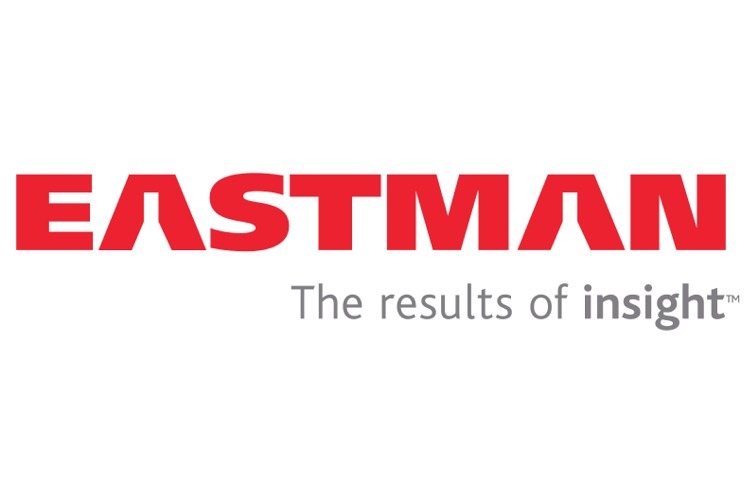 The bottle combines an innovative double-necked design with an advanced material called Tritan™ from Eastman. The patent-filed Double Neck combines a small-mouthed opening for tiny hands and mouths with a large opening for easy cleaning and easy refilling—even from the school drinking fountain. 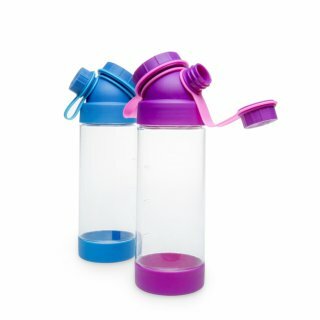 Both necks are part of a colorful lid that fits securely and won’t leak, even with sparkling water or carbonated drinks. Each cap is attached securely to its respective neck to prevent misplacing or losing it. Clear—Tritan promotes good hygiene and fluid monitoring. BPA free—Tritan is made without BPA, BPS, or other phthalates. Shatterproof—Many schools prohibit glass bottles because of their safety risk. Easy to clean—Tritan is dishwasher safe; it resists cracking, warping, and haziness. Durable—Tritan can stand up to daily, carefree use by schoolchildren. Stylish—Tritan is ideal for the elegant design of the Double Neck bottle. Dr. Kehlenbeck adds that Eastman’s technical and market expertise also were very helpful during the refinement of the bottle’s design and production. After rolling out in Germany, distribution will be expanded to other countries. In addition, target markets beyond schoolchildren are being considered for future products. For information about JuNiki’s® Double‡Neck® GmbH, contact presse@junikis.com, or visit their website www.JuNikis.de.